Sino-Forest, once the biggest publicly listed forestry company in Canada before its demise, and several of its top executives defrauded investors and misled investigators, Ontario's securities regulator ruled Friday. Although it was based in Ontario, Sino-Forest conducted most of its business in China until it collapsed in 2012. The Ontario Securities Commission concluded that former CEO Allen Chan, Albert Ip, Alfred Hung and George Ho "engaged in deceitful and dishonest conduct" by overstating the company's timber assets and revenue. Allegations of fraud against Simon Yeung were dismissed, but the regulator ruled he misled staff during their investigation. 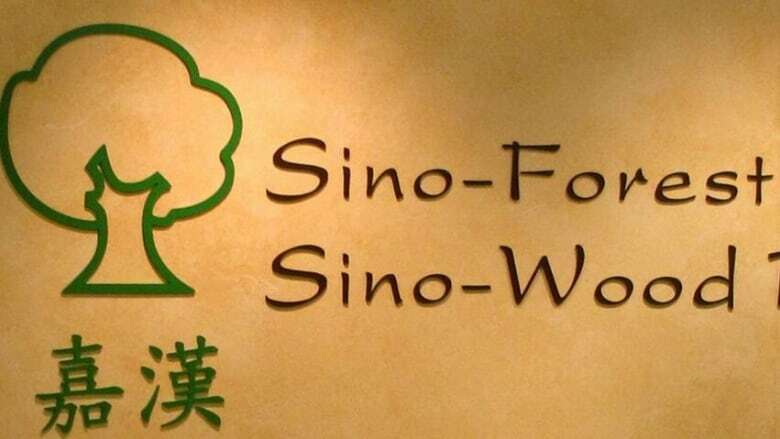 Established in 1994, Sino-Forest was once the most valuable forestry company listed on the Toronto Stock Exchange. Although it was based in Ontario, the company conducted most of its business in China until it collapsed in 2012. The case against Sino-Forest and five of its former executives has been one of the most complex cases in the Ontario Securities Commission's history. There were more than 170 hearing days, 22 witnesses, over 22,000 pages of transcripts and thousands of exhibits. Defence lawyers for the executives argued that what the OSC called fraud were actually mistakes made by a fast-growing company. They also argued that behaviours that may seem strange in a Canadian context were typical business customs in China. The former executives now face the possibility of being permanently banned from Canada's capital markets, or fined up to $1 million for each failure to comply with Ontario securities law. A separate hearing on sanctions and costs has not been set.